The Mount Pearl Lions Club was chartered on 17 April 1956. Since then it has actively served it's community, province and global environment. Mount Pearl Lions present the Mayor, City Councillors and Senior Staff with the Club Charter pin, to commemorate their 60th Anniversary. MP Lions planted a tree and donated park furniture at St David's Park, to commemorate the Club's 60th anniversary. This is one component of the MPLC Legacy project to celebrate the 100th anniversary of Lions Clubs International. 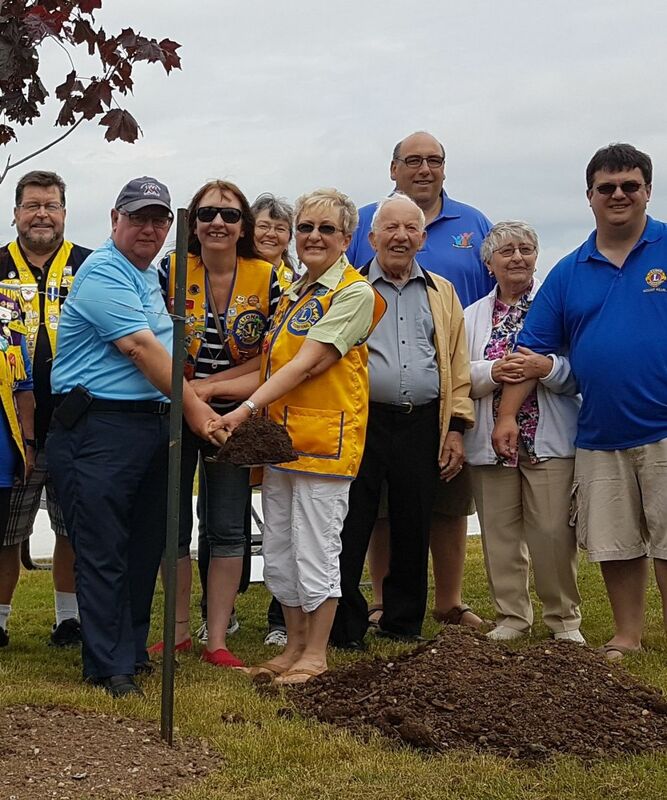 The Lions also planted a tree on the grounds of the City's Admiralty House Museum to commemorate the Club's 50 years of service to Mount Pearl. There are 22 members of the Mount Pearl Lions Club. Of those Lions, there are: 6 couples / family units; 9 females and 13 males; there are very active Lions in their 90s, 80s and even in their 30's; and, many Lions with children and grandchildren! Lion Roxanne Oates is the President for 2017-18. Lion Betty Dunlop was the President for 2016-17. Services have been provided to help build the City, support its citizens and assist in local and world-wide disasters. In its more than six decades of service, the Lions of Mount Pearl have contributed significantly to the spirit of Mount Pearl and to humanitarian service for its global neighbours. To learn about Club membership and how to join: .............. view the Contact Us page. .............. view the Calendar page. To "see" what we do .... go to the photo gallery! 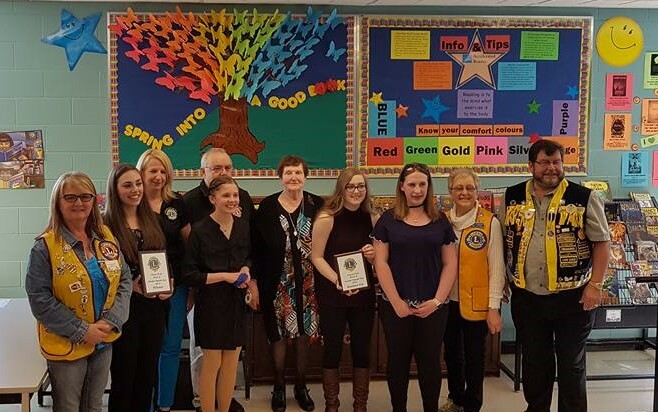 These Lions Clubs get together three times a year for Zone meetings and hold Zone events such as a Zone Dart Tournament to support the Lion Max Simms Memorial Camp and a Zone Junior Speak Out. Zones 8 & 9 get together to hold a Regional Senior Speak Out for the Senior High Schools covered by the twelve Lions Clubs. Lion Gerald Coombs is the Zone 9 Chair for 2017-18. Zone 9 is one of a collection of 10 zones and 53 Lions Clubs which make up District N-4. This District covers the Eastern portion of the province, starting from Gander. Lion Dianne Bonnell is the 2017-18 District Governor for District N-4. Lion Sam Wells Sr. was the District Governor for 2016-17. N-4 Central & Eastern Newfoundland. Lions Clubs International is the first service organization to be recognized by the United Nations. Each year the UN holds a "Lions Day at the UN" to recognize the global humanitarian contribution of Lions. LCI has more than 1.4 Million Lions serving world-wide. For more information about Lions Clubs International, go to the LCI website .